Will Jaana be able to get Shahab’s attention? With the fourth episode of Waada, the story move forward and Arif finally told his wife the reason behind not visiting his mother, he was blamed for being the bad guy and misbehaving with Jaana. However, his wife believed him and knew that her husband can’t snoop that low. 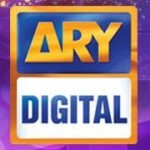 Moreover, Shahab’s sister confronted him and she told him how unfair that was that he gave priority to Jaana over Arif. In dire straits Shahab did what he had to and instead of making a huge fuss ,he blamed the entire thing on Arif. Shahab’s sister then took his word that he will kick her out and he agreed. Moreover, the house driver has a major crush on Jaana which she hates, we see how the two bicker and Jaana realized that he can be a cause of problem for her. In that certain moment this clever girl comes to a decision of just playing along and pretending to like him. The poor guy who genuinely likes this evil woman doesn’t seem to realize what he’s getting himself in to. Shahab finally told Jaana to pack her bags and get out, whereas Sumaira unknown to the decision took her along to the mall, but who knew something as this serious is coming her way. Shahab’s daughter was saved by Jaana in a car accident. That evil woman now became everyone’s favorite! What can Shahab even do now? In the heat of this moment he’s trapped. Unaware of Jaana’s plotting of becoming the owner of this house and Shahab’s wife, he was busy taking care of his daughter. Amidst all this what more does Jaana have in her mind? She’s now the family favorite, how will Shahab ever kick her out? Her evil plans will be a major problem, how will she implement them? 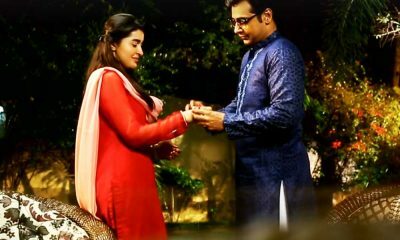 Will Arif reveal the truth of Jaana? The driver of the family likes Jaana a lot, how will that work out? If you need the answers to these questions, then don’t miss out on the next episode of Waada only on ARY Digital on Wednesdays at 9.00 pm. Is Tooba finally going to be happy? Or the bitter truth of her life will be revealed to Obaid? Have a look these icons flaunting Ajraks!